We have found a space, however we are having a hard time convincing them that Roller Derby will not ‘destroy’ their floor. Any advice on who to contact or if any of you have a facility that could write a letter for our team stating the type of floor (preferably a type of wood floor) how many times the facility is used per year, and the general care (is the floor destroyed, or cared for properly) that derby has towards their facility. We really could use some help from our Derby Family out there with experience to help us get a facility to use in our home town. Thanks, Derby Love!! Thanks for getting in touch! We haven’t been able to break into a wood floor venue. 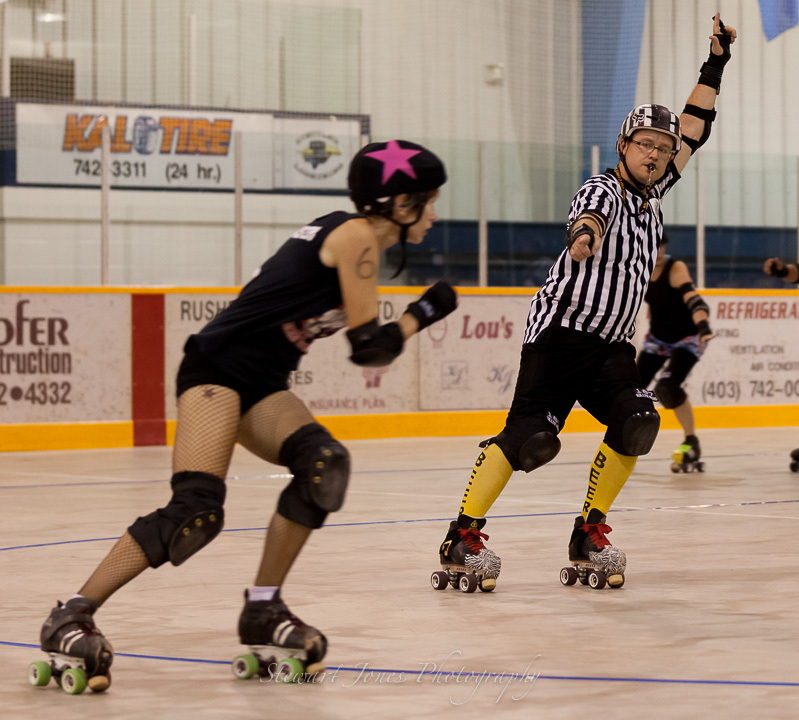 However, I believe the Red Deer Roller Derby Association and the Calgary Roller Derby Association skate on wood floors. Contacting a skater rep there may be helpful. Or, poll some leagues neighbouring your community so you can present closer-proximity examples. Good luck! Gypsy may ask around to the skate rinks if some have been around awhile. A lot of the old rinks in the state were wood and really didn’t suffer too much damage from the skates. Usually what killed the floor was water leaking in from the large flat roof.